life science analytics, e.g., tracking relationships between illnesses, genes, and molecular compounds. social network marketing, e.g., identifying influential speakers and trends propagating through a community. digital forensics, e.g., analyzing the relationships between persons and entities for law enforcement purposes. telecommunication network analysis, e.g., directed at fixing network bottlenecks and costing of network traffic. digital publishing, e.g., enriching entities occurring in digital content with external data sources, and finding relationships among the entities. Experiences. This includes topics that describe use case scenarios, datasets, and analysis opportunities occurring in real-life graph-shaped, ans well as benchmark descriptions and benchmark results. Systems. This includes topics that describe data management system architectures for processing of Graph and RDF data, and specific techniques and algorithms employed inside such systems. The combination of the two (Experiences with Systems) and benchmarking RDF and graph database systems, is of special interest. vision papers describing potential applications and benefits of graph data management. descriptions of graph data management use cases and query workloads. experiences with applying data management technologies in such situations. experiences or techniques for specific operations such as traversals or RDF reasoning. proposals for benchmarks for data integration tasks (instance matching and ETL techniques). proposals for benchmarks for RDF and graph database workloads. evaluation of benchmark performance results on RDF or graph database systems. system descriptions covering RDF or graph database technology. data and index structures that can be used in RDF and graph database systems. query processing and optimization algorithms for RDF and graph database systems. methods and technique for measuring graph characteristics. methods and techniques for visualizing graphs and graph query results. proposals and experiences with graph query languages. The GRADES workshop is co-located and sponsored by SIGMOD in recognition that these problems are only interesting at large-scale and the contribution of the SIGMOD community to handle such topics on large amounts of data of many millions or even billions of nodes and edges is of critical importance. 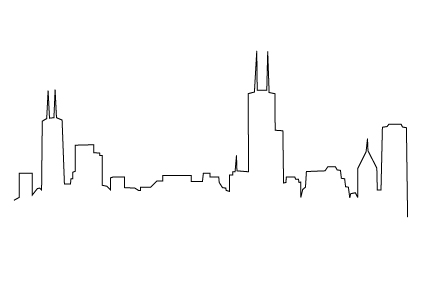 Due to SIGMOD moving recently, GRADES2017 will also be held in Chicago, Illinois, USA.